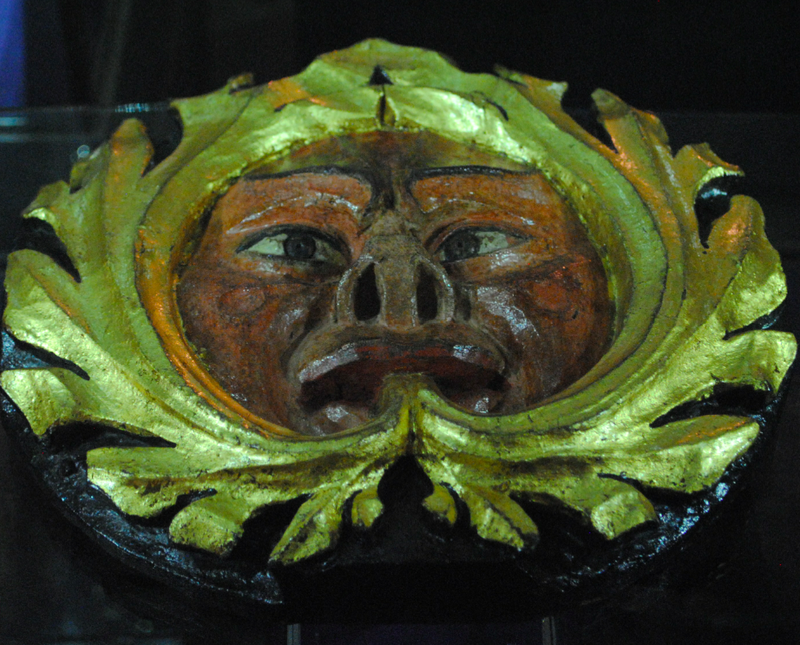 On display in Carlisle Cathedral Treasury are three medieval ceiling bosses. 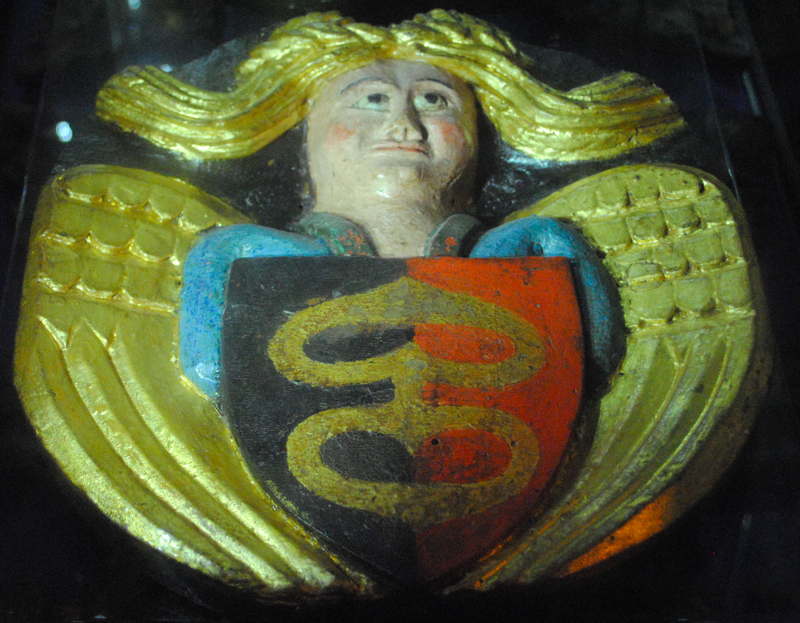 Dating to c1400, the richly coloured bosses were part of the medieval ceiling. 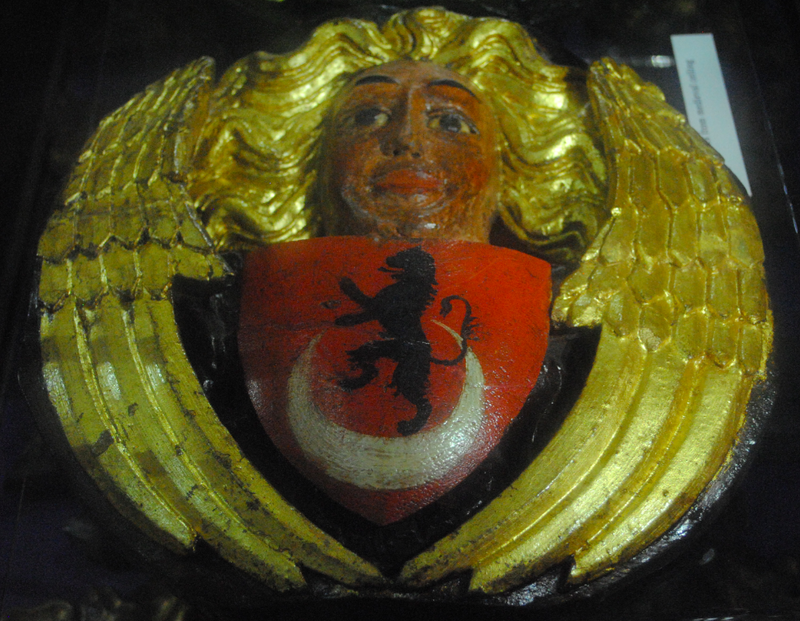 The bosses are decorated with intricately detailed foliage, faces and heraldic shields and would have been used as ornamentation to conceal the joins found in a vaulted ceiling.